Brief Description of Why We Should Add it:: Fortnite came out in July and is similar to boarderlands, I got it from a friend and I have been playing it nonstop since. It has 4 person squads along with 100 player battle royal similar to PUBG. Currently atleast 5 members have it and it is fairly cheap right now for the standard edition which is the game will be F2P soon and it is very well polished for an early access game. I also love this game. It would be awsome to have a channel for fort nite! You guys just need to show that people are playing the game semi-consistently. Go double check the request form read me for the details. Ive seen a decent amount of people playing this game around the discord, and sometimes even invading ARK channels to do so. I think this was a great idea. Based of the responses here maybe this is something we should try and get going! Seems like a decent enough following! Will be rough though as it is another drop in and play kinda game. Completely agree that is a "drop in and play" kind of game. Epic games (developers of Fortnite) have a discord with dedicated lobby's for people to party up. It is a very popular game, and it is always a top 5 game on twitch. I don't play it, but maybe one of you folks that does might be interested in making that post? 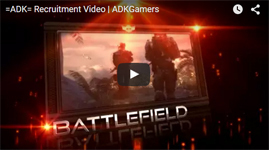 Sell us the game and why you think ADK should sponsor it! I used to play it, they made it a bit too cartoonish for my liking. Dance bombs for example lol. I might get back into it in the future, but I'm taking a break for the time being.